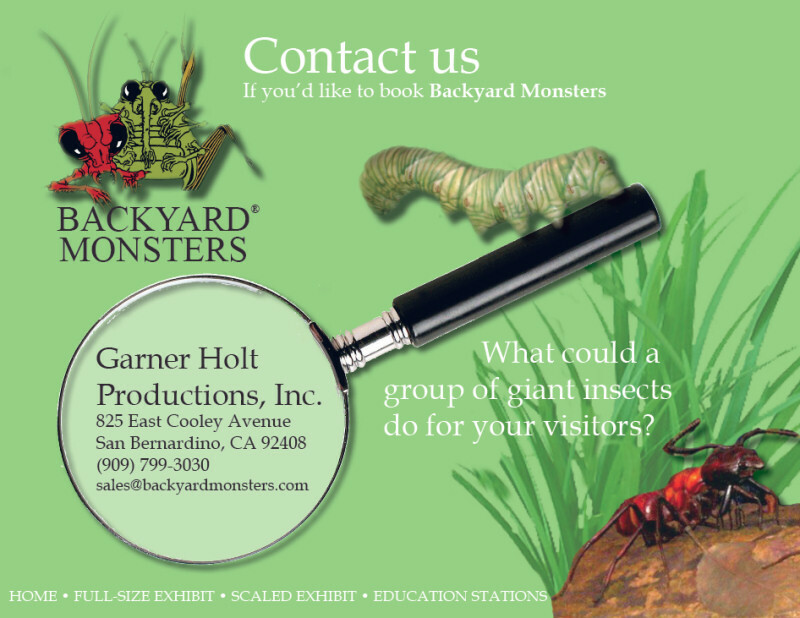 Contact us if you'd like to book Backyard Monsters. What could a group of giant insects do for your visitors? Adventure Edutainment LLC. 22122 1/2 Ventura Blvd. Woodland Hills, CA 91364. (818) 713-9007.